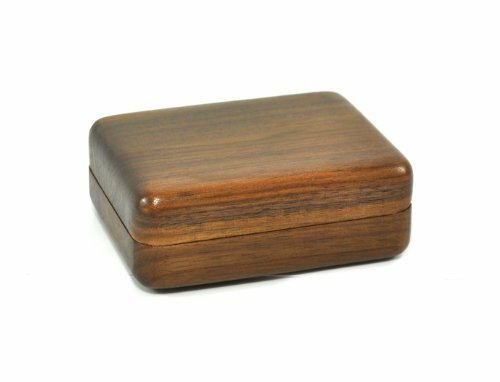 Walnut Grove Solid Wood Walnut Keepsake Treasure Box (Small) by Walnut Grove at Home Decor Outlet Store. MPN: unknown. Hurry! Limited time offer. Offer valid only while supplies last. Walnut Grove takes pride in manufacturing high quality, American- made products. Our history goes back to manufacturing wood products for the U.S.
Walnut Grove takes pride in manufacturing high quality, American- made products. Our history goes back to manufacturing wood products for the U.S. Army during WW1. With each family generation through present day, came new business ideas and diversification of wood products. This commitment has made us one of the largest and most popular U.S. suppliers in the industry. 3 1/4" x 4 1/4" x 1 1/2"
If you have any questions about this product by Walnut Grove, contact us by completing and submitting the form below. If you are looking for a specif part number, please include it with your message.